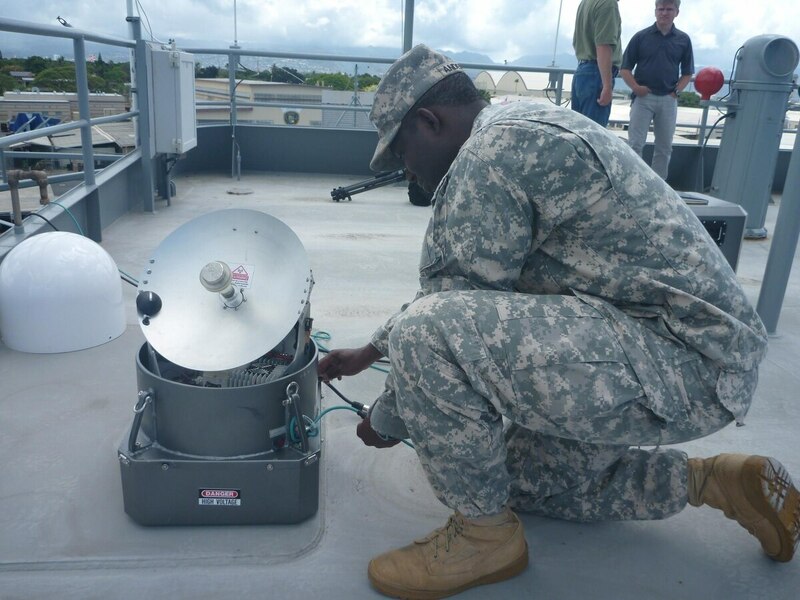 The 25th Infantry Div., is experimenting with enroute comms such as portable satellite dishes for its logistics support vessels. C4ISRNET Reporter Mark Pomerleau caught up with Miranda at her office at Aberdeen Proving Ground in Maryland for her first interview since assuming her new post. Miranda discussed her role in the Army's sustainment and logistics. Liz Miranda, is the director of the Integrated Logistics Support Center at Army Communications-Electronic Command. Can you describe what you're responsible for and what your office does? The responsibility of what we call integrated logistics sustainment — it's not just ... having the right part in the right place at the right time and the movement of those. It is the planning, the projection, the actual procurement of the parts, the delivery of those parts, and that is just one aspect. 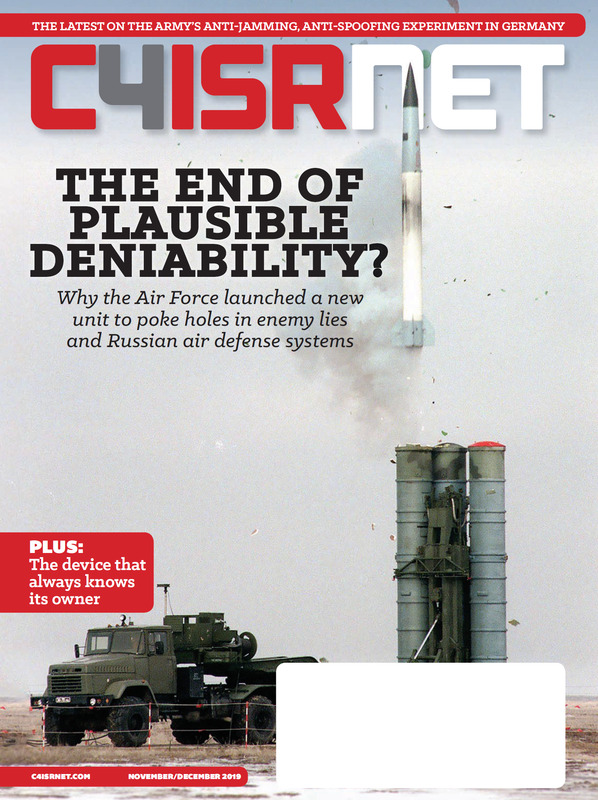 We support the C4ISR systems. As you know, these are high technology systems; therefore, a lot of other things are needed for the solider to be prepared and ready, not just to operate but to maintain and have the system available and ready when they need it. Part of that is the complexity of the technologies today require that we constantly are prepared to not just provide the technical assistance that they need when they need it — over-the-shoulder training — we show them how to do this, how to operate and maintain it. But also, the sustainment training. Our technology continues to evolve. So we show them one technology today and in a couple of years, or maybe even less in some cases, we have to continue … to give them that sustainment training so they can learn to operate the new version of the system. A lot of our systems are fielded for a long period of time. So our ability to project out and forecast the needs of our Army is a challenge. ... And it's not just because, again, the environment is changing the Army is changing, but the technology is also changing. I call it a pyramid: All those things have to meet in the middle, but it's a triangle, so they stay in their corner but we are responsible for integrating all of that. Making sure that everything — the training, the parts, the assistance to the soldier — is available when it's needed. We are a global organization. We have approximately 2,000 personnel — civilian, military and contractors. Our inventory is very large. In total we manage over 45,000 pieces of equipment. They are from a cable to a card, a circuit card, to test equipment, to you name it. We do a lot of the tech assistance and field support. It's … challenging because [the maintainers] themselves have to continue to be trained so they know what the soldier needs and can train the soldier. We do forward repair. We have not just the training aspect, training the soldier to maintain the system, but when the maintenance required is a higher level, the soldier doesn't have the tools that are needed, or the capability to maintain or repair the equipment because of the type of damage or repair required — it goes to the next level. We provide that support and service as well. What are some of the other efforts you're implementing to shrink down your inventory and costs from maintaining things that aren't being used? As you know, a lot of our equipment was commercial off-the-shelf equipment that we fielded to the soldiers. Therefore, there are a lot of common parts and common equipment that is used in many of them. Some of the radios use common circuit cards. Some of the systems such as [Warfighter Information Network-Tactical] use laptop computers. What we are looking to do is where the commercial off-the-shelf equipment can be leveraged and used for multiple systems, we're working with [PEO-Command, Control, Communications-Tactical] and looking at a series of systems and programs that they manage and where we can leverage equipment. If there is one laptop that can serve multiple systems, that will hopefully reduce the complexity and the equipment required out in the field. We're also looking to take the responsibility to manage inventory and just give the unit the buying power. So we're looking at changing the process. We for the past years did a lot of tech refresh by bringing the stuff to the soldiers and giving it to them. Although that was very beneficial for the unit and the soldier, from an Army perspective, it was very hard to manage and very costly also because each program was managed their own requirement. We're looking to achieve efficiencies by buying more of the same stuff that multiple programs can use. It is still a work in progress. We're going through an initiative within [Program Executive Office Command, Control, Computers–Tactical] to see what programs we want to look at and get the information into the supply system, and then leverage those same item numbers and equipment so that we can award one big contract. Can you talk about the divestiture efforts underway? Our inventory is the actual end item — the major end item — and we also have an inventory of the parts that support those major end items. From an Army perspective, we have excess of both. We continue to deliver capabilities to the field and bought a lot of radios, different kinds for different environments, for different ranges, and what we now have is an excess of major end items. The Army realized that and has been slowly identifying the programs that from an Army perspective we can start divesting of, and because we have sufficient inventory of the capability or equipment that we believe the Army needs. The legacy equipment, we can start divesting. We're going through that process, but the process is slow. If one unit prefers one radio over another, they don't want to divest it. From an Army perspective, they have the responsibility to make those decisions. What we have been discussing as a community is: How can we move divestiture plans to the left? … So when the materiel development community decides to meet a need of the Army by fielding a new capability, we look at what is going to come out of the Army's inventory and start making those recommendations to the Army early on. So as the new program goes through the phases, the decision process also addresses the legacy equipment. You're talking about every little thing that goes into a system. The inventory has to be maintained and accounted for; someone has to go do inventory every so often. It's occupying space somewhere — that's a cost that we're looking to reduce. The guidance from our headquarters [Army Materiel Command] has been look at what, based on the demands, we can start disposing of. From a secondary item, we're disposing of those things [for which] we don't see a high demand. The risk is that the demand, if we go to war, may increase. Then the question is: At what level? Then we don't want to dispose too much because we'd have to go procure more. That's the balancing act.